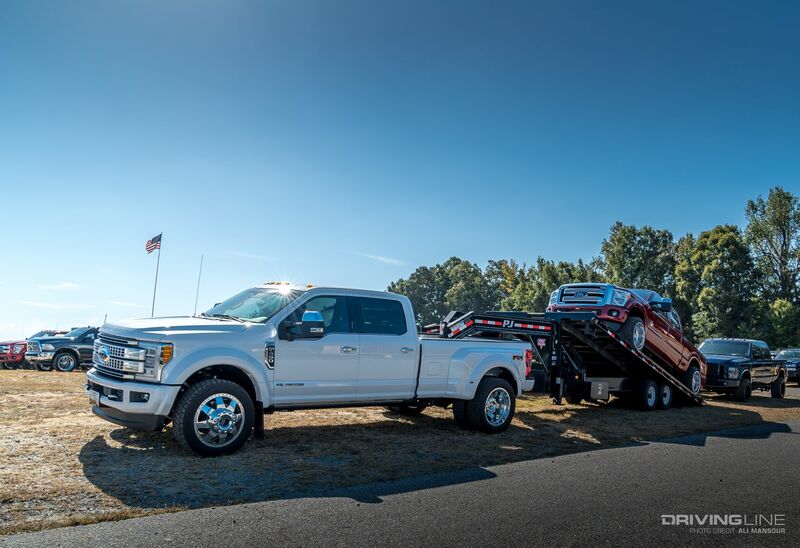 In North Carolina, fall means changing leaves, cooler weather and, of course, Rudy's Diesel Fall Truck Jam. 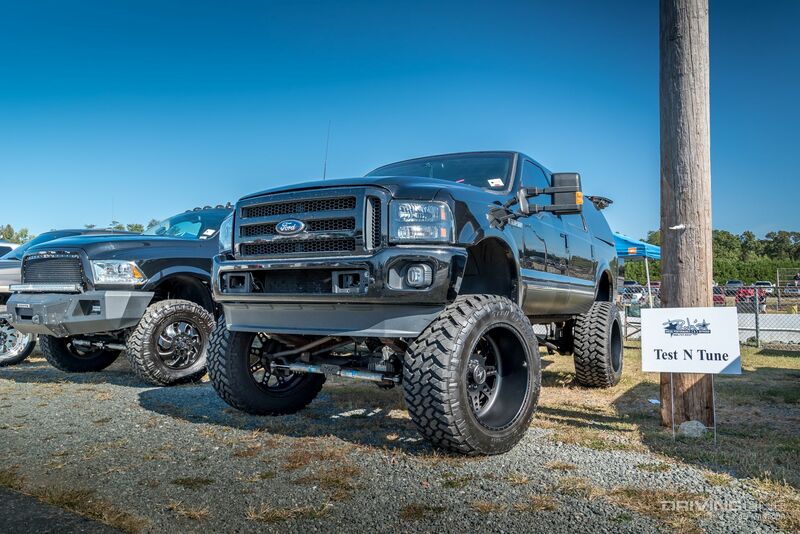 Held at the Piedmont Dragway in Julian, North Carolina, the Truck Jam plays host to some of the fastest diesel trucks in the nation. Marking the end of the Outlaw Diesel Super Series season, guys were ready to lay it all on the line of Piedmont's 1/8th mile dragstrip. 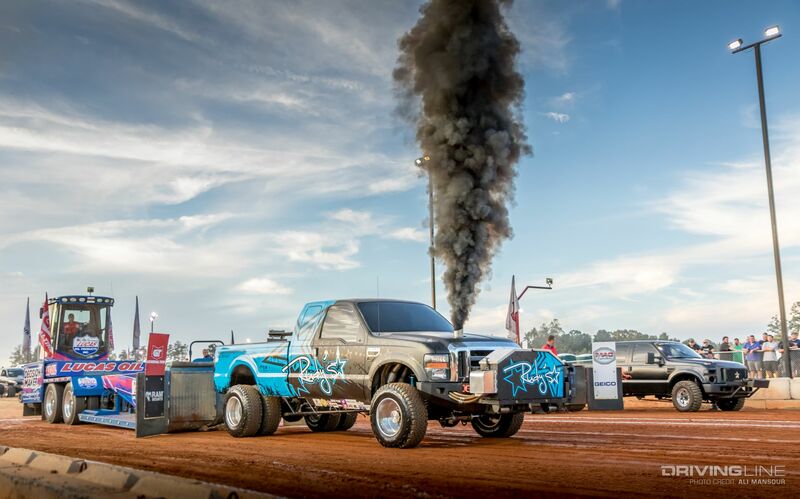 Beyond diesel drag racing, the two-day event also plays host to a show and shine competition as well as the Lucas Oil Pro Pulling League series finale. We stopped by to soak in all the black smoke and turbocharged action, which you can check out in our video recap above. For those looking to learn more about what was at this year's event, be sure to read the article below. As of writing this, you're looking at the world's fastest Power Stroke. 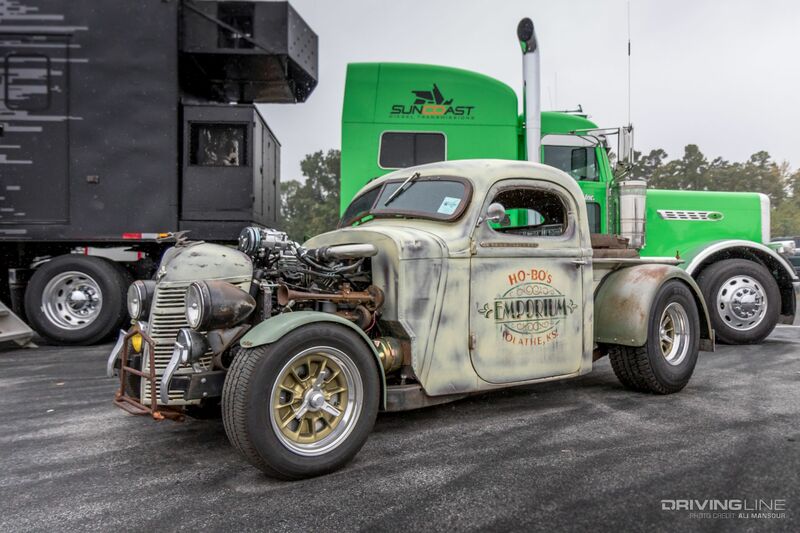 The Rudy's Performance Parts 6.4L race truck put down a blistering fast 1/8th mile run over the weekend, clocking a 4.993 pass at 142 miles-per hour. Want to see track officials panic? Drive your 7,000-pound truck into the light tree! This was the result of steering links that couldn't take the force of a powerful four-wheel drive launch. This is a common failure point on late-model GM and Chevy trucks, but one easily fixed with tie-rod upgrades. Dustin Jackson and his '94 Ford Lighting would take home the championship in the ODSS Hot Shots Secrets Pro Street division. Under the hood of the ½-ton pickup you'll find a triple-turbo'd 6.7L Cummins engine built by Fleece Performance Engineering. 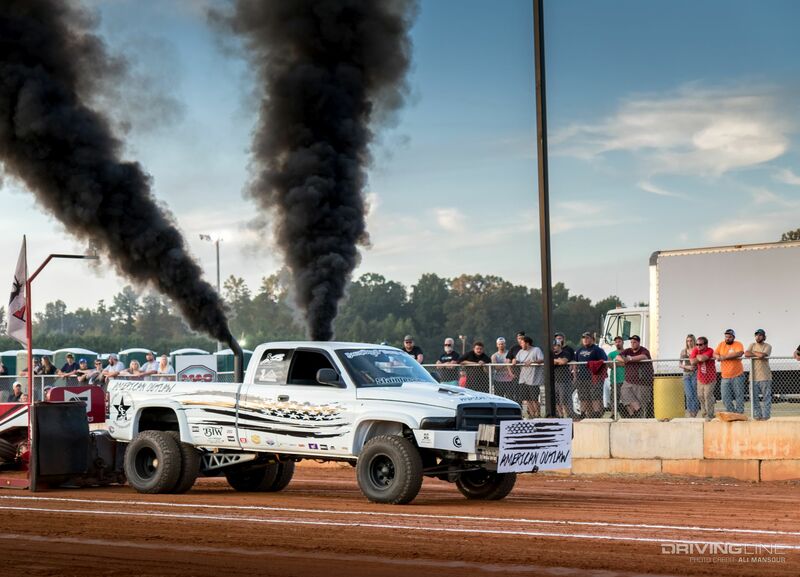 The truck and driver currently hold the NHRDA Pro Street ET record of 8.091 at 170 miles-per hour in the 1/4 mile. Vendor row was a great place to pick up good deals on parts, t-shirts and learn about the upgrades needed to make your diesel truck survive on the track. 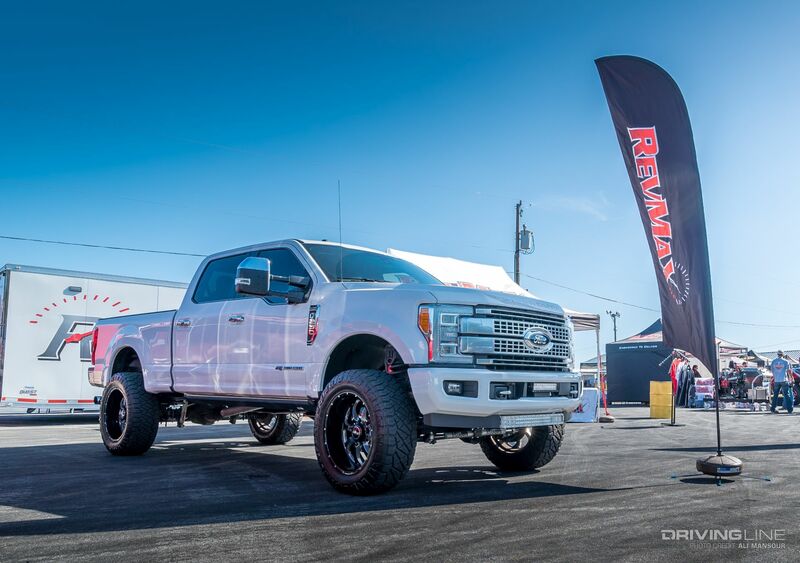 One of the leaders in fuel system technology, FASS was on hand with a host of its late-model fuel kits and this killer Ford F-550. For those brave enough to see how much power their truck's actually putting to the ground, Reality Check Dyno was happy to deliver you the good (or bad) news. Throughout the weekend we'd see horsepower numbers in the mid-800s and torque figures over 1,500 lb-ft! After suffering transmission failure at the NHRDA World Finals just the week prior, Lavon Miller and his Firepunk Ram were back. He even managed to put down a blistering fast 5.002 at 145 mph over the weekend setting a new Pro Street record. We always find it interesting what these top guys use to pull their race machines to the track. 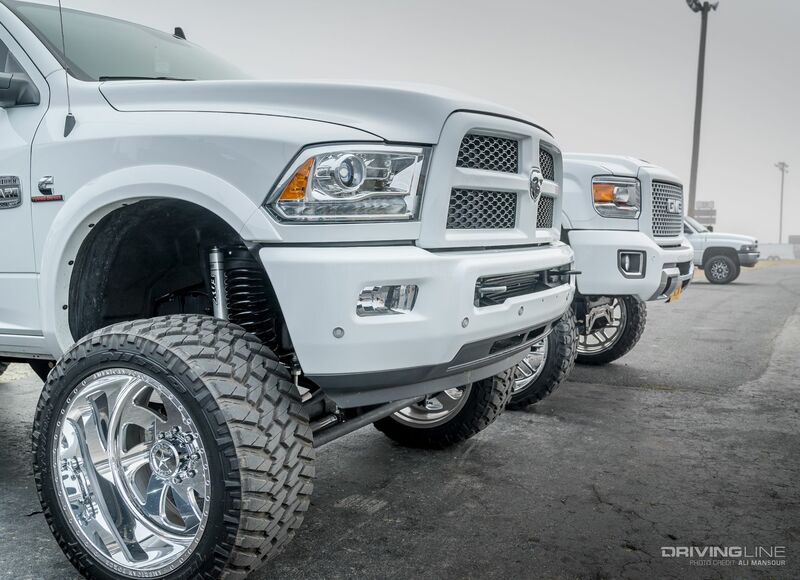 While we're guessing there's a nice helping of air and fuel upgrades under the hood of this Firepunk's tow rig, beyond the 22-inch wheels and 35-inch Nitto Ridge Grapplers, the white Ram was very clean and simple. While not everyone is willing to share their power secrets from under the hood, it doesn't take much detective work to figure out which tires were the tread of choice among many racers. Without question, the Nitto 420S was a recipe for success and traction. Given the 420S is available in a variety of sizes, we saw a host of wheel configurations paired with the all-season tires. If you were simply looking to have your built diesel on display, there was an entire section devoted to you. 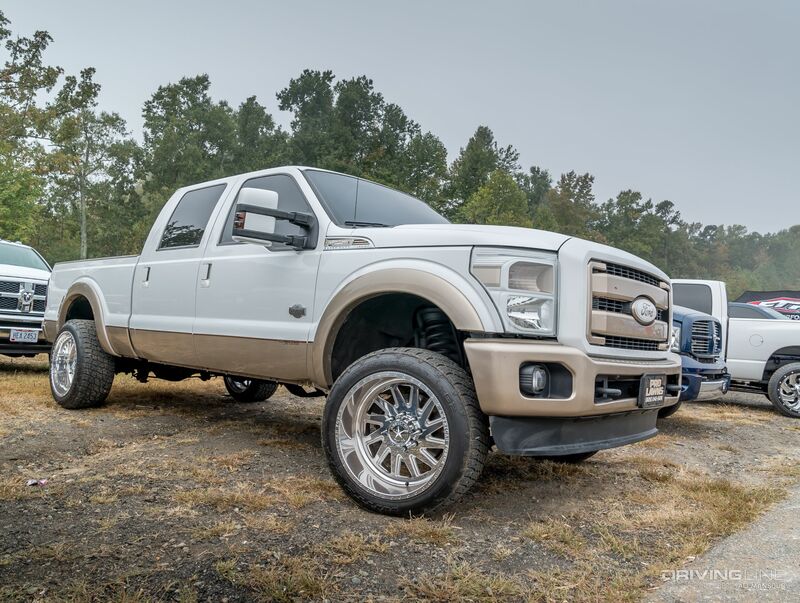 Big lifts, big tires and massive wheels are definitely what's trending in the show circuit and we're even starting to see the re-emergence of chrome and color-matched accessories. 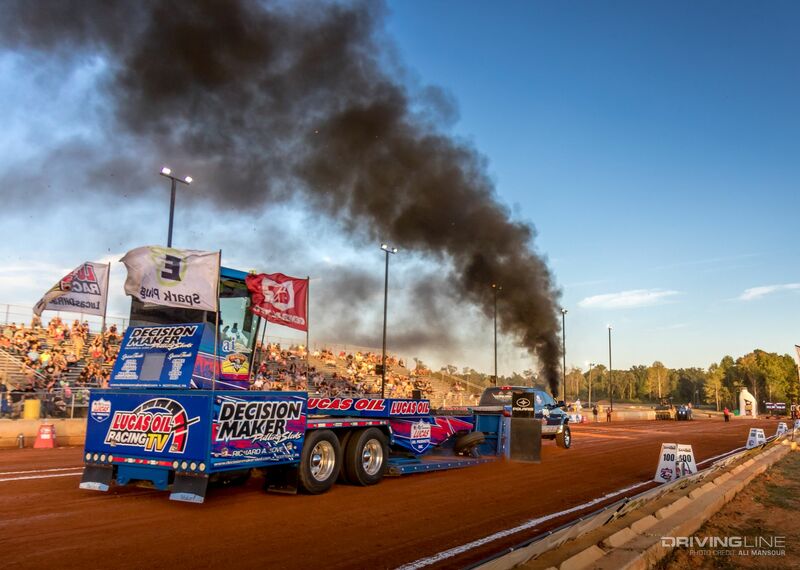 In addition to being the ODSS season closer, the Truck Jam also marked the end of the Lucas Oil Pro Pulling League season as well. 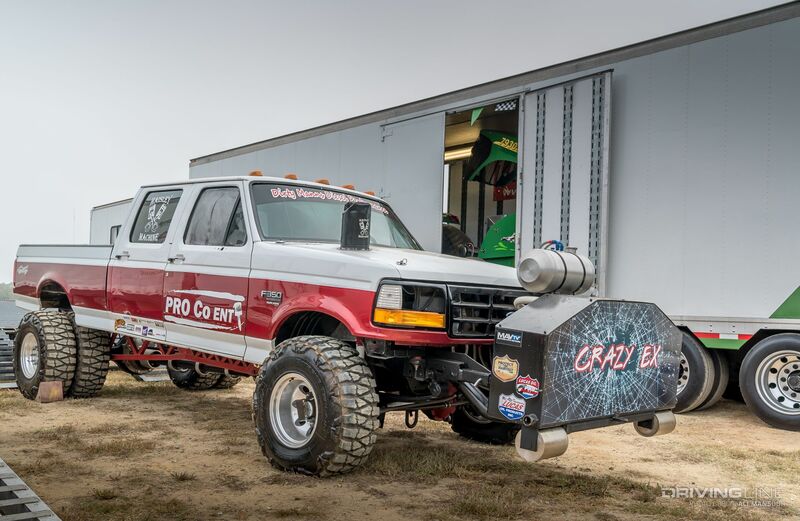 Full-bodied trucks like Jon Manns' "Crazy Ex" Ford running in the Limited Pro Diesel 4x4 Truck class were some of our favorites to watch. Since the trucks are limited to DOT-compliant tires no taller than 35 inches, it's one of the more identifiable classes. Manns, along with a portion of the other competitors, were running Nitto Mud Grapplers, which has a proven track record in the dirt. 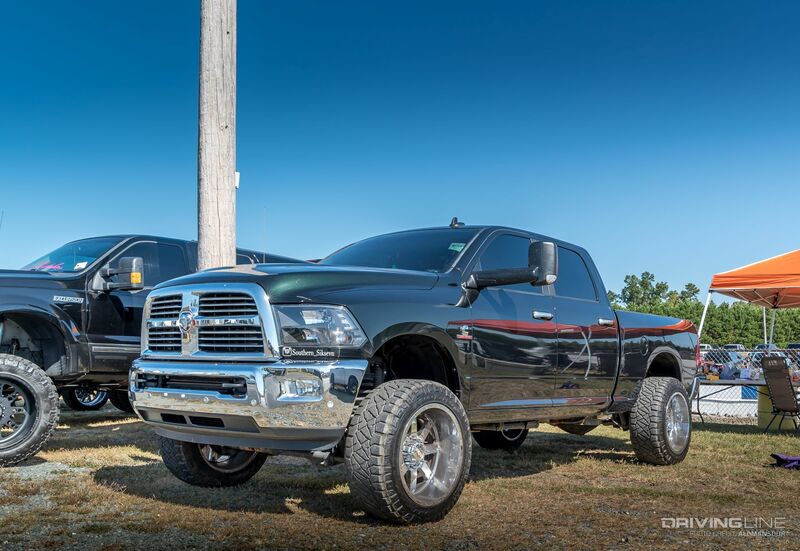 Josh Land and his 6.7L Cummins-swapped '97 Dodge Ram dually is always good for putting on a show. Just as impressive as his performance in the dirt is Land's no excuses attitude. The paraplegic driver makes these incredible runs using only hand controls! If you follow the diesel racing circuit, you'll likely recognize many of these so-called sleepers waiting in the parking lot. 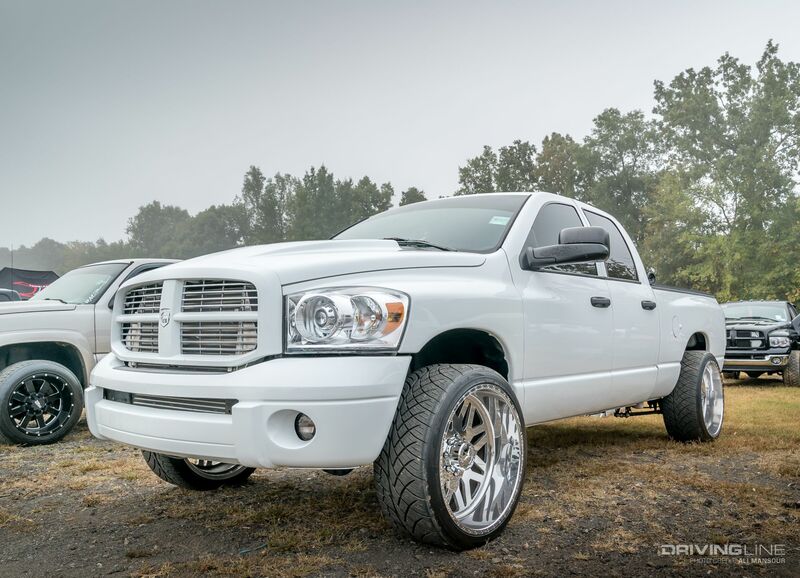 For those new to the diesel world, you may be surprised to find that truck's, like this seemingly modestly modified '07 Ram Mega Cab of Larson Miller, is no stranger to the 7.70 1/8th mile bracket class and even runs 12's in the quarter mile. Here's an unusual site. 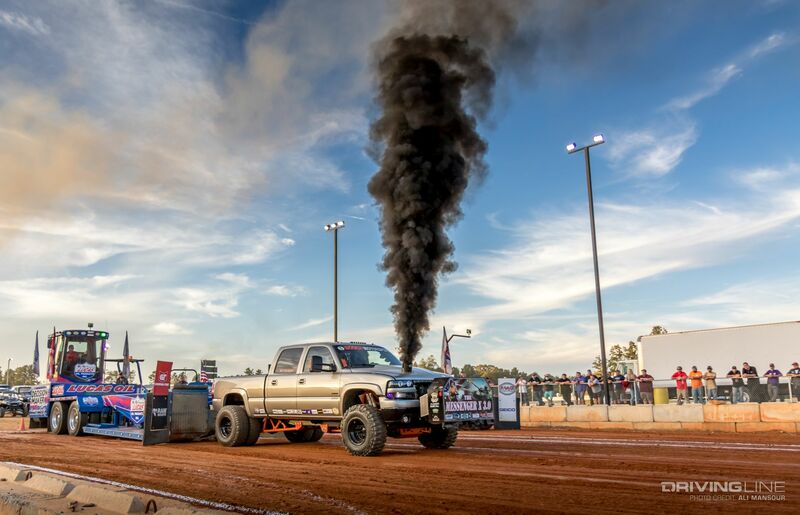 Calvin Holcomb's Chevy Duramax typically runs 38x15.50R24 Trail Grapplers at all four corners, but when he hits the track, he trades the rear mud-terrain radials out for a set of massive drag slicks. The combo works well as the big Chevy had no trouble blasting down the track. Exergy Performance is known for its high-flow fuel pumps and injectors. 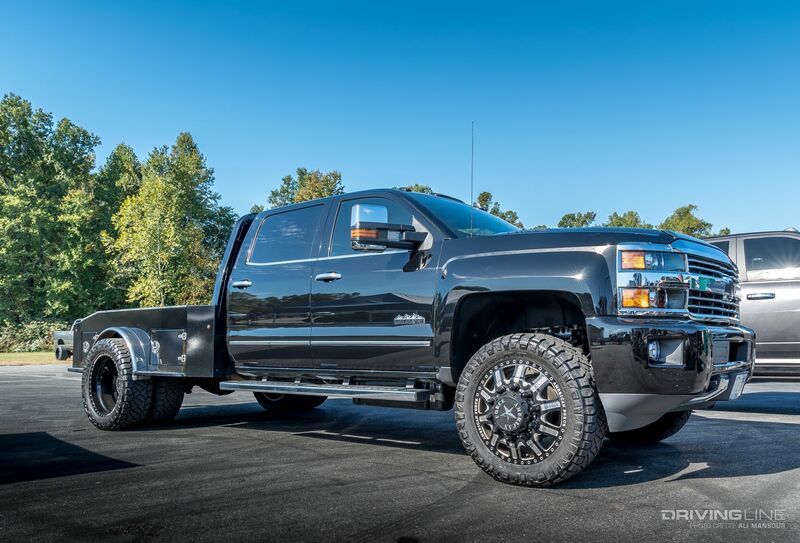 Given there's more energy in diesel fuel than any other fuel source, the 1,3000-plus rear-wheel horsepower label under the company's Duramax's hood was no surprise. Check out more snaps from the event in the gallery below.